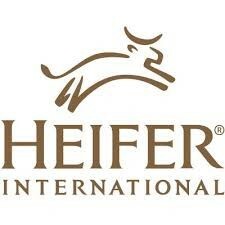 Kindergarten is supporting Heifer International Sustainable Farming as their Eagles in Action project this month. At Heifer International, we believe that caring for the Earth is vital to ending hunger and poverty, whether it’s through reforestation, organic gardening or adoption of fuels that reduce the ill effects to the environment. Help families care for their environment with your sustainable gift. Your offerings will help to purchase garden and harvest baskets. A Bountiful Harvest Gift can help lift a family out of a life of hunger and poverty. With the training provided by Heifer International, families who previously did not have enough to eat will have a steady supply of food, and even be able to sell the surpluses. With that income, they will finally be able to send their children to school, afford medicine and have a chance at a more secure future.